We are specialists in working with eye gaze technology in the classroom, supporting schools to implement eye gaze as a shared resource for learning in the classroom. We help students improve their eye gaze skills over time, improving accuracy for communication and computer access. We provide all the tools you need to guide students along a learning pathway. Students starting out with eye gaze begin with simple, no-fail activities exploring cause and effect. 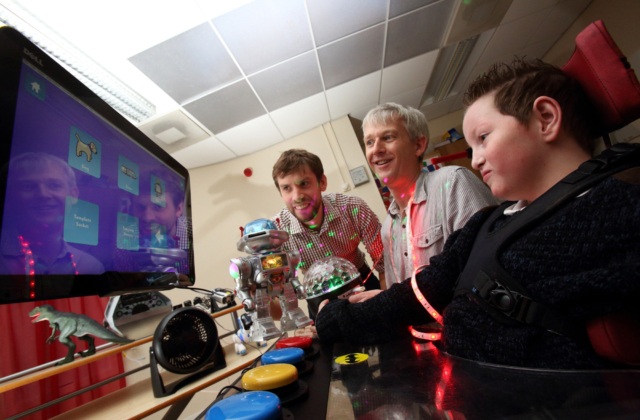 We then help schools progress their students through to choice making, eye gaze skill development and communication. Is the student looking appropriately? Are they engaged with the activity? Do they respond to instructions? Can they look at all areas of the screen? Do they demonstrate evidence of reading skills by tracking words? Our range of eye gaze titles make learning a fun and motivating activity, so students stay engaged. There are always activities to challenge or provide relief if needed. From our popular Look to Learn software titles to the all new Interactive Learning grid sets available in Grid 3. We introduce interactive characters at the beginning of the eye gaze learning pathway in Look to Learn and Look to Learn: Scenes and Sounds which accompany the student as they move to Grid 3 and begin making choices, navigating simple vocab grids and working towards using our Symbol Talker vocabularies. The familiar characters and illustrations make the transition to Interactive Learning in Grid 3 familiar and reassuring. Symbols and vocabulary from Symbol Talker A are then slowly introduced in the student’s Chat grids. 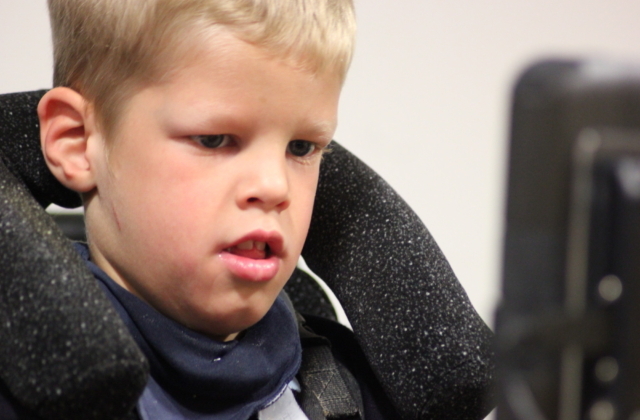 We offer a free eye gaze clinic service to schools. One of our assistive technology specialists will come to your school for a day and demonstrate how eye gaze systems would work in your classrooms. The day provides your students with the chance to try eye gaze activities, you never know who may have a hidden talent!